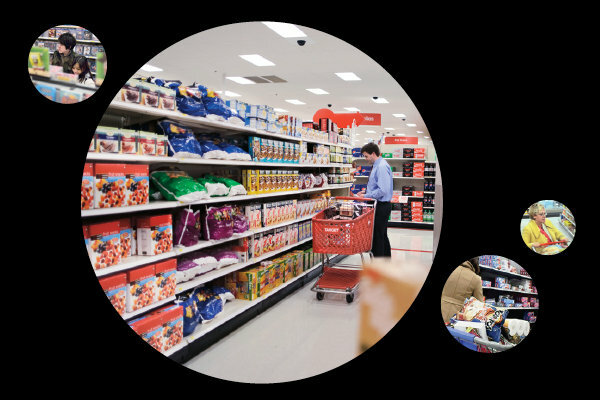 To provide insight into an approach…I am reposting this well written Best-in-Class Behavioral Analytics Case Study by Charles Duhigg on how Target is targeting customers using Predictive Analytics to anticipate shopper behavior. Target was founded in 1902 and is headquartered in Minneapolis, Minnesota. Target operates over 1,750 stores in 49 states under Target and SuperTarget names. It offers general merchandise products through its Website, Target.com. The company distributes its merchandise through a network of distribution centers, as well as third parties and direct shipping. Additionally, it offers credit to guests through its branded proprietary credit cards. As the marketers explained to Pole new parents are a retailer’s holy grail. Most shoppers don’t buy everything they need at one store. Instead, they buy groceries at the grocery store and toys at the toy store, and they visit Target only when they need certain items they associate with Target — cleaning supplies, say, or new socks or a six-month supply of toilet paper. But Target sells everything from milk to stuffed animals to lawn furniture to electronics, so one of the company’s primary goals is convincing customers that the only store they need is Target. But it’s a tough message to get across, even with the most ingenious ad campaigns, because once consumers’ shopping habits are ingrained, it’s incredibly difficult to change them. There are some periods in a person’s life when old routines fall apart and buying habits are suddenly in flux. One of those moments is right around the birth of a child, when parents are exhausted and overwhelmed and their shopping patterns and brand loyalties are up for grabs. But as Target’s marketers explained to Pole, timing is everything. Because birth records are usually public, the moment a couple have a new baby, they are almost instantaneously barraged with offers and incentives and advertisements from all sorts of companies. Which means that the key is to reach them earlier, before any other retailers know a baby is on the way. Specifically, the marketers said they wanted to send specially designed ads to women in their second trimester, which is when most expectant mothers begin buying all sorts of new things, like prenatal vitamins and maternity clothing. “Can you give us a list?” the marketers asked. Also linked to your Guest ID is demographic information like your age, whether you are married and have kids, which part of town you live in, how long it takes you to drive to the store, your estimated salary, whether you’ve moved recently, what credit cards you carry in your wallet and what Web sites you visit. Target can buy data about your ethnicity, job history, the magazines you read, if you’ve ever declared bankruptcy or got divorced, the year you bought (or lost) your house, where you went to college, what kinds of topics you talk about online, whether you prefer certain brands of coffee, paper towels, cereal or applesauce, your political leanings, reading habits, charitable giving and the number of cars you own. All that information is meaningless, however, without someone to analyze and make sense of it. That’s where Andrew Pole and the dozens of other members of Target’s Guest Marketing Analytics department come in. Pole applied his program to every regular female shopper in Target’s national database and soon had a list of tens of thousands of women who were most likely pregnant. If they could entice those women or their husbands to visit Target and buy baby-related products, the company’s cue-routine-reward calculators could kick in and start pushing them to buy groceries, bathing suits, toys and clothing, as well. Target operates general merchandise stores. The company offers household essentials, including pharmacy, beauty, personal care, baby care, cleaning, and paper products; hardlines consisting of electronics, video game hardware and software, music, movies, books, computer software, sporting goods, and toys; apparel and accessories comprising apparel for women, men, boys, girls, toddlers, infants, newborns, intimate apparel, jewelry, accessories, and shoes; and home furnishings and decor products, such as furniture, lighting, kitchenware, small appliances, home decor, bed and bath, home improvement, and automotive products, as well as seasonal merchandise, including patio furniture, and holiday decor. It also provides food and pet supplies consisting of dry grocery, dairy, frozen food, beverages, candy, snacks, deli, bakery, meat, produce, and pet supplies. Target Corporation sells its merchandise products under private-label, and exclusive licensed and designer brands. In addition, it provides in-store amenities. operating a blog but I do write in my diary everyday.